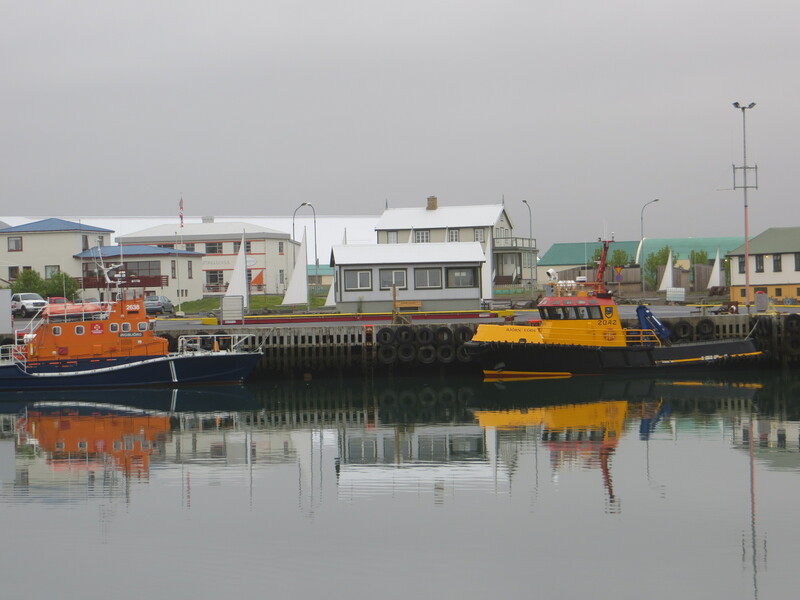 A Nordic language version of the song, “Counting Flowers on the Wall,” serenades Mare and I. We’re sipping Gull beer, at a harbor side café in Reykjavik, Iceland…the northernmost capital city on earth. 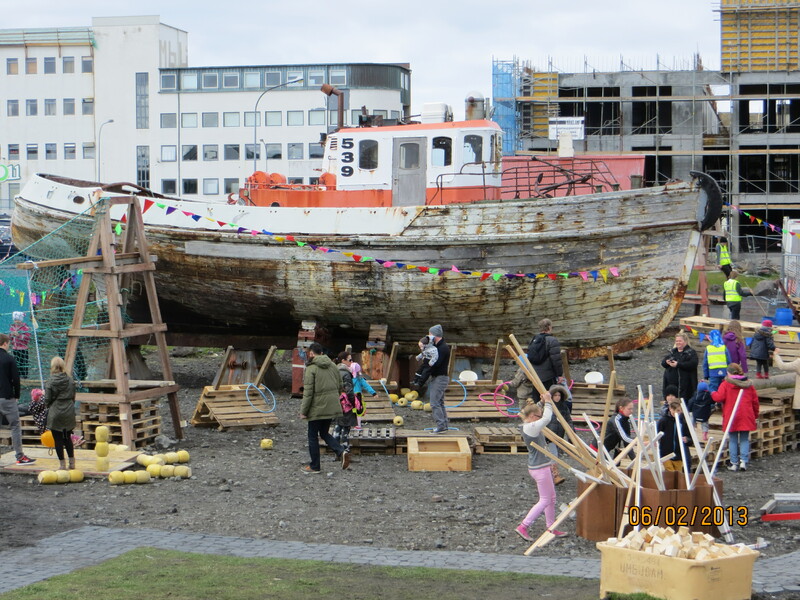 The Fish and Ships Festival is in full swing, “Sailor Day,” honoring Iceland’s fisherman who are vital to this volcanic country of 330,000 people. Things are very expensive here, so we rent the cheapest car we can find from “SADCARS.” Then we pitch our tent, with hope of seeing as much as possible in 6 days. 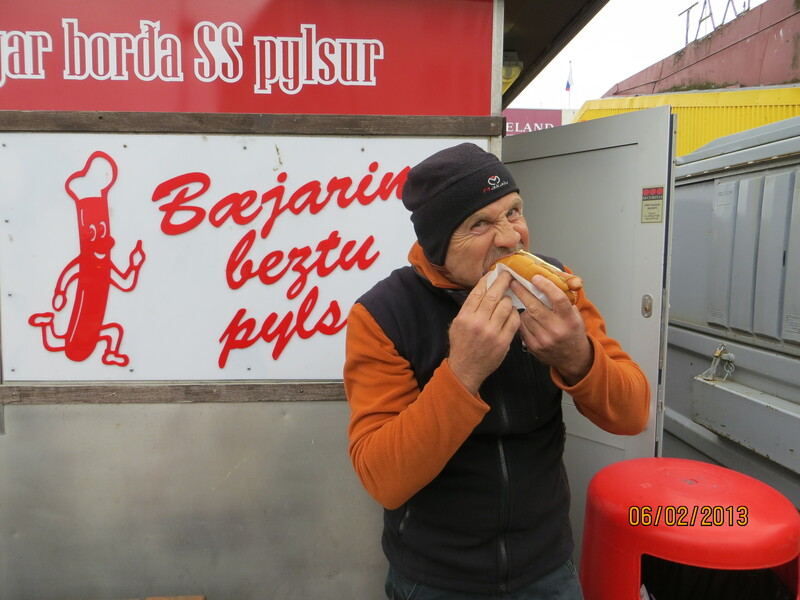 After stocking up at a grocery store, we devour one of Iceland’s most popular foods…the hot dog, which is served on a bed of crispy fried onions. There is no tipping at all in this country, and no need to exchange currency, as credit card use is the norm. That truly simplifies life. We bed into our tent, and our body weight keeps the tent from blowing away in the harsh wind, on these nights that see no darkness. In the morning, a drive to the town of Hveragerdi gives us our first dip into a geothermal hot pool. While driving the two-lane road, rain pours with fog, and clouds shroud the mountain tops. Outside of the sulfur smelling geothermal hotspots, the air has no scent. We pass farmhouses that snuggle next to the bottom of mountains which provide shelter from the storms. Waterfalls fuel their fields. 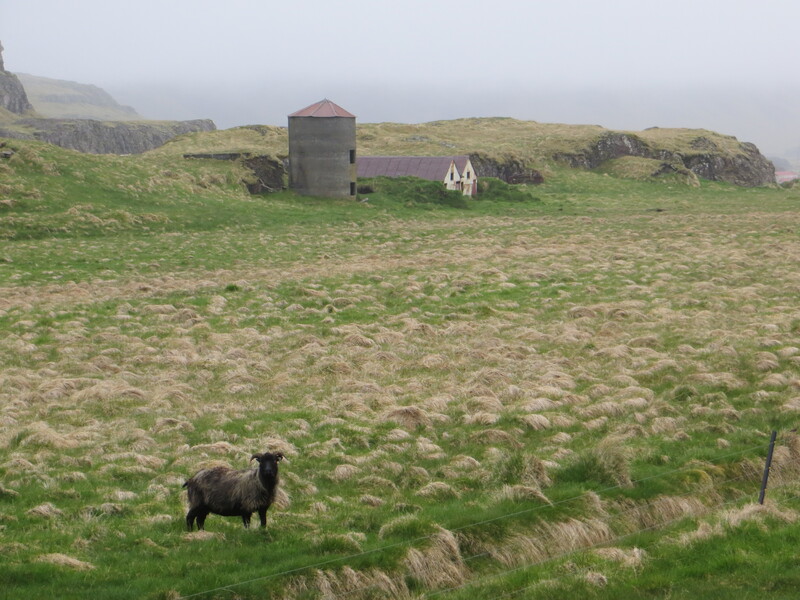 Green pastures thrive in this volcanic soil (there are 22 active volcanos in Iceland), providing life for countless sheep and Icelandic horses. 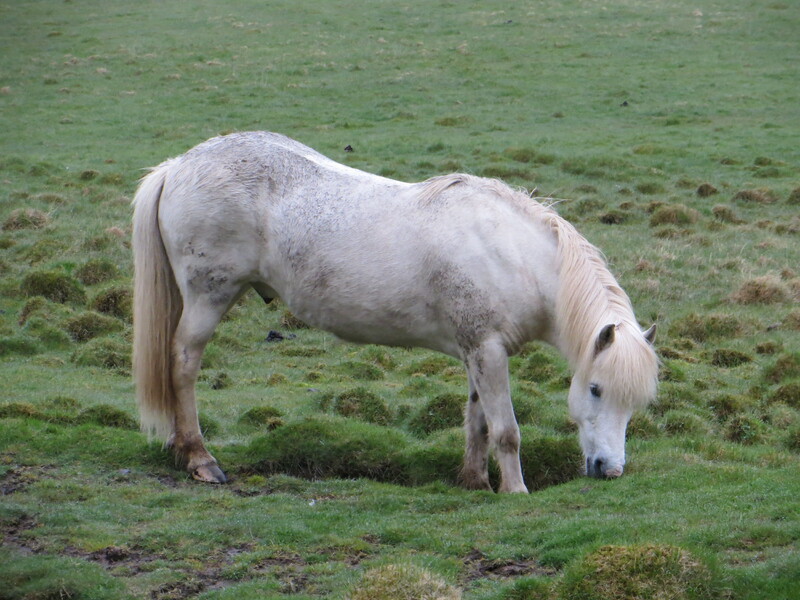 Grey glacial sand deserts interrupt the agricultural areas, along with infinite moss-covered lava fields. 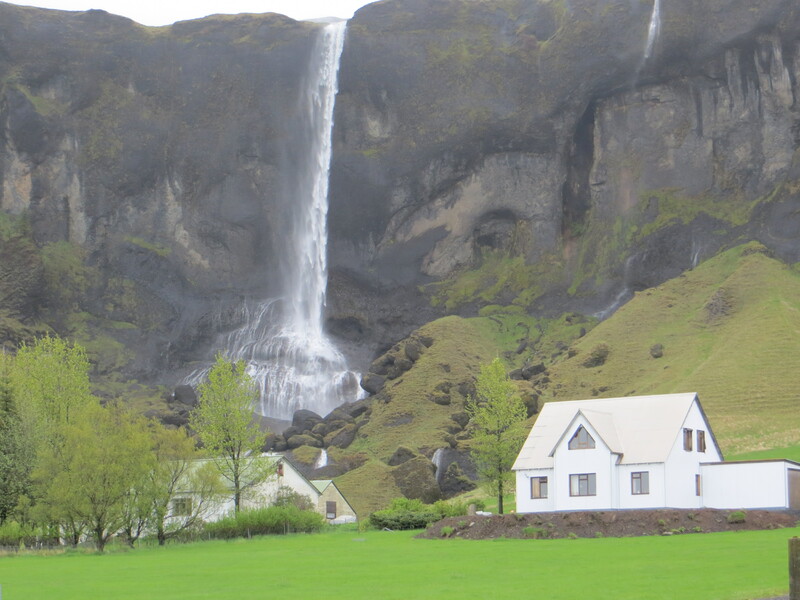 Towards the town of Vik, the sight of Skogafoss waterfalls blows our mind with its river-wide might. 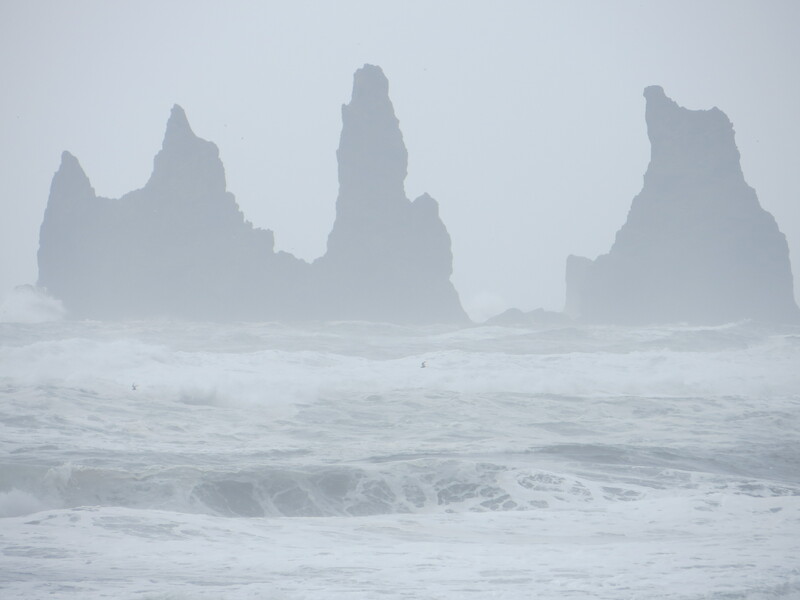 On the shores in the town of Vik, volcanic spires surge out of a flat, black-sand shore. 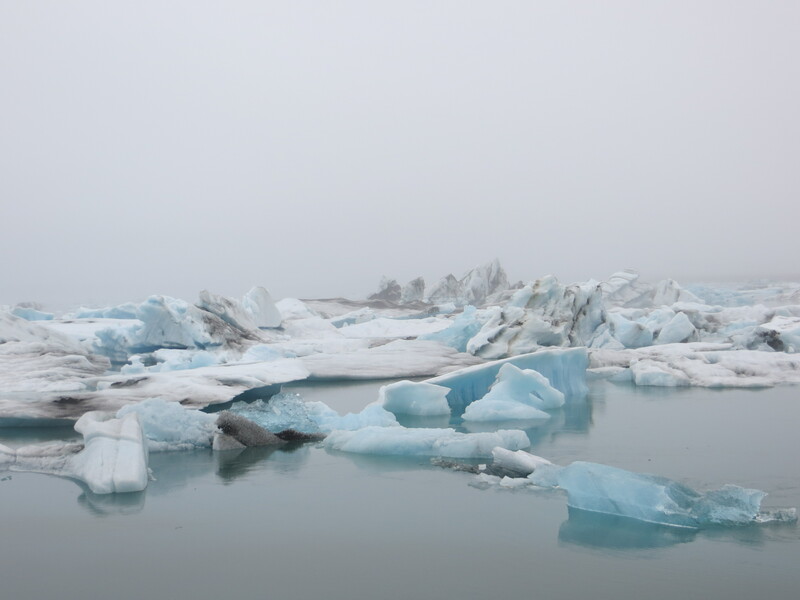 After passing two glaciers, we stop at Jokulsarlon, a geologically young lagoon full of icebergs. 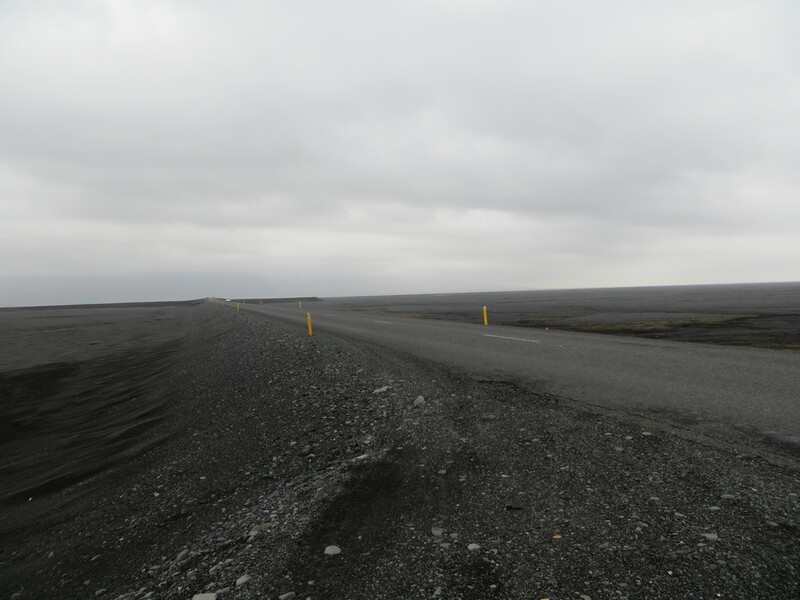 It’s fed by Vafnajokull – the world’s 3rd largest icecap, after those in Antarctica and Greenland. Splurge time, Baby. After a 10-hour driving day, we stop in the town of Hofn, famous for its lobster. 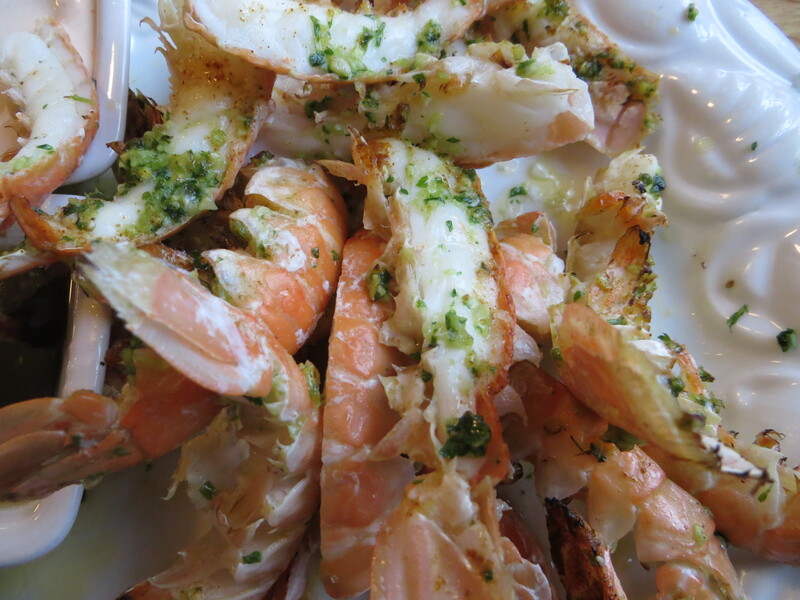 Dinner of langoustine tails at the Humarhotnin Restaurant rewards us. But the splurge is so expensive that we decide to sleep in our little Sadcar. Sneaking into a parking place by the harbor, I have to piss, but do not want to draw attention. It never gets dark and I cannot sleep in this small vehicle. So, I watch the fisherman come in with their catch, one after another, late into the night. Around midnight, I finally, sneak a pee. Hey, Ma and Pa, that old sadcar held up well, though. These young guys have a good business concept, fixing old cars for inexpensive rentals. Great pictures you guys……..are you convinced the world is warming ..if you ever were. Ask Mike how much carbon dioxide spews with each volcanic eruption. It looks like the agriculture is healthy in spite of it. You are sure tough travelers, but the rewards are great I know. Stay healthy and safe. Ah glorious! Great shots, fun prose. 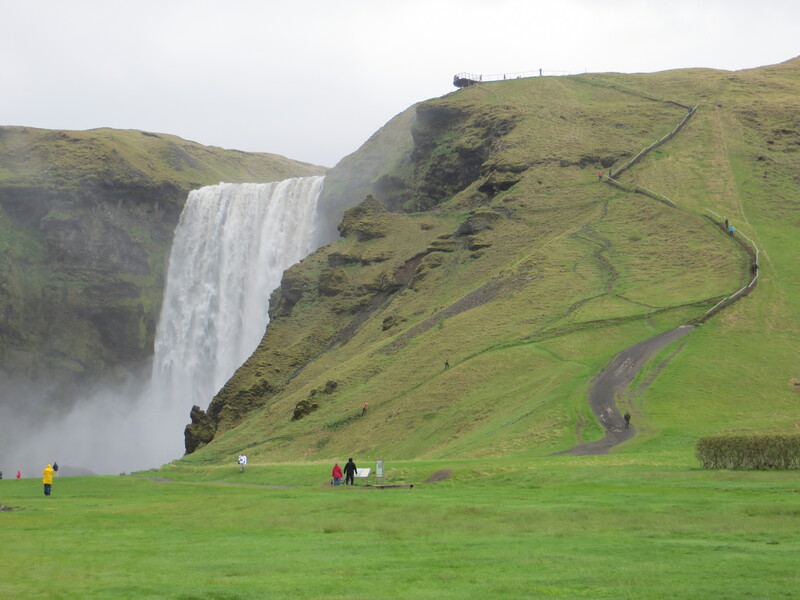 Iceland is near the tippy top of my list….safe travels!